Billionaire Stanley Druckenmiller, founder of the legendary hedge fund Duquesne Capital Management, is widely-known for his brilliant British pound short that “broke the Bank of England”. Druckenmiller worked for Soros Fund Management from 1988 until 2000, and was the one who came up with the idea of shorting the pound, pitching it to George Soros. For those interested in currency trading, the billionaire investor is currently shorting the EUR-USD currency pair. Earlier this month, the reputable investor expressed his concerns over the monetary policy pursued by the Federal Reserve at the DealBook Conference. The billionaire investor also said that he bets on high-growth companies even though he doesn’t see himself as being bullish on the market. In fact, he claimed that “I could see myself getting very bearish”. This can easily be observed by closely examining his 13F filing for the September quarter, during which his family office sold out of 18 positions and reduced its holdings in an additional six stocks. Moving on to the underlying purpose of this article, we are now going to discuss the top stock picks of Stanley Druckenmiller at the end of the third quarter. 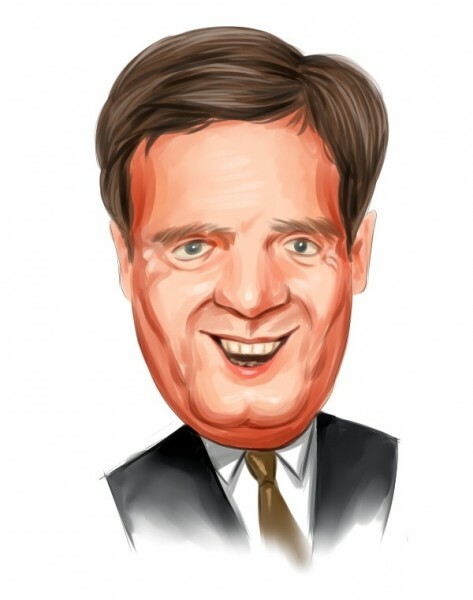 Amazon.com Inc. (NASDAQ:AMZN) represents a new addition to Stanley Druckenmiller’s equity portfolio. Duquesne Capital acquired a 97,300-share stake in the company, which was valued at $49.81 million at the end of September. Shares of Amazon have gained 115% since the beginning of the year, and the billionaire investor did not shy away from expressing his admiration for the company. “I love Amazon. They are investing on the future”, said Druckenmiller at the recently-held DealBook conference, which Insider Monkey attended. During the third quarter, Amazon significantly expanded its technology infrastructure, thanks to the fast-growing appetite for Amazon Web Services’ (AWS) offerings. The international e-commerce and web services have been growing globally at a high pace, but it is highly unlikely that the strengthening competition will threaten Amazon’s dominant position. Tiger Global Management, founded by Tiger Cub Chase Coleman, lifted its stake in Amazon.com Inc. (NASDAQ:AMZN) by 2.45 million shares during the third quarter, holding a 3.19 million-share position as of September 30. The multi-billion dollar family office cut its position in Wells Fargo & Co (NYSE:WFC) by 490,500 shares during the turbulent third quarter, which marks a decrease of roughly 29% quarter-over-quarter. The diversified, community-based financial services company has had a great fourth quarter in terms of stock performance thus far, with its shares gaining 9% since the end of September. Wells Fargo’s credit quality remained quite strong in the third quarter, as the company’s losses continued to be at very low levels, while its non-performing assets declined for the 12th-straight quarter. The financial services company reported third quarter net income of $5.8 billion, up from $5.7 billion reported for the same quarter of last year. It is also worth mentioning that Well Fargo’s shares are currently trading at a cheap price-to-earnings ratio of 13.45, which compares with a mean of 22.70 for the S&P 500 Index. Warren Buffett’s Berkshire Hathaway is by far the largest stockholder of Wells Fargo & Co (NYSE:WFC) at the end of the third quarter, holding a massive stake of 470.29 million shares.